What made me want to write this post was seeing unicorn hot chocolate while being held up in my apartment due to snow. I had to settle for normal hot chocolate and spicing things up with my smashmallows. I kept seeing my southern friends posting unicorn hot cocoa and I just wanted to reach in a take instagram worthy photos! 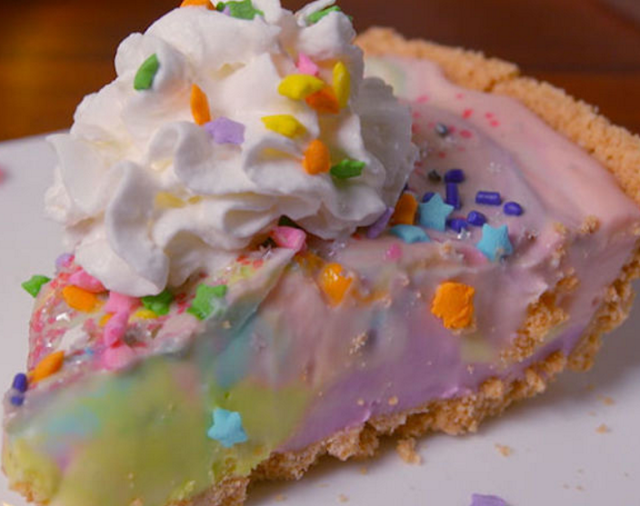 While looking up the recipe I discovered unicorn cheesecake and rainbow chex mix. 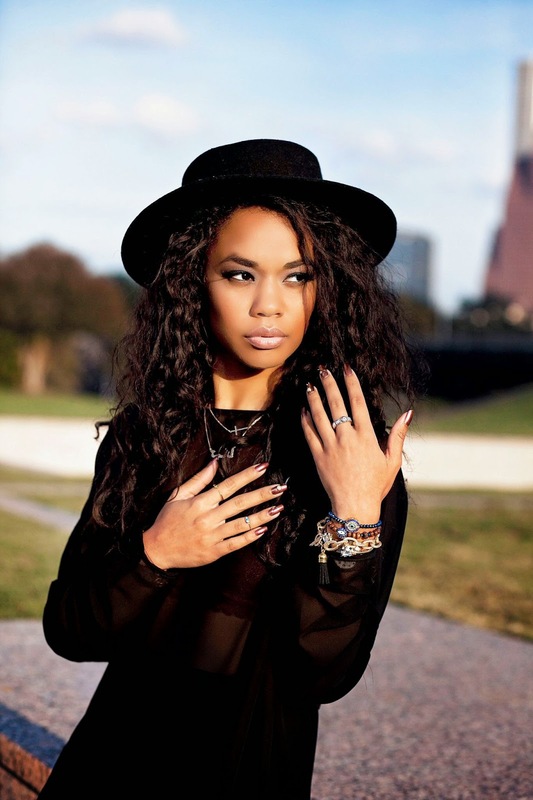 Links and everything are below! Its all so pretty I just need to add rainbow sprinkles and food coloring to my shopping list for the week. 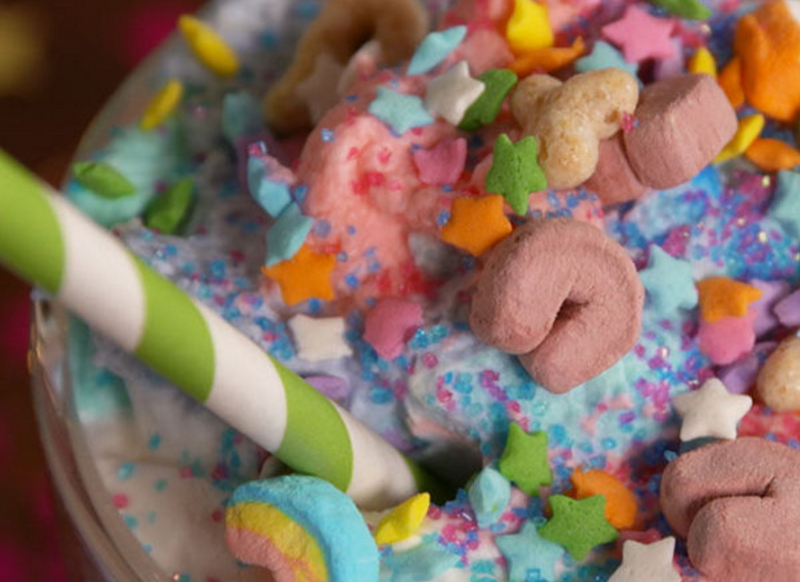 DELISH has the perfect Unicorn Hot Chocolate recipe here. I am lazy and know that strawberry hot chocolate exists in package form so I would probably start with that then embellish with rainbow marshmallows and sprinkles. After trolling Delish they also linked this Unicorn Cheesecake Recipe ! I'll make up something to celebrate just so I can make this. It looks so good, I already love cheesecake... this makes me want to eat it just as much. Another perfect winter mix to make is this Rainbow Chex Mix from tablespoon. Its so bright and makes me smile. 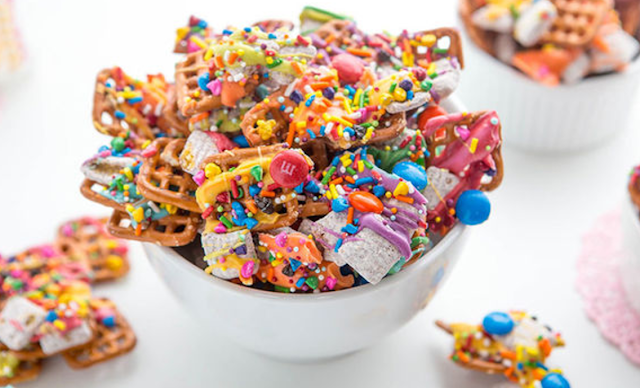 The fact that the base is pretzels and muddy buddies already makes me want to make this.